The idea was to get a quick bite before going to a Pride party at BGSQD. 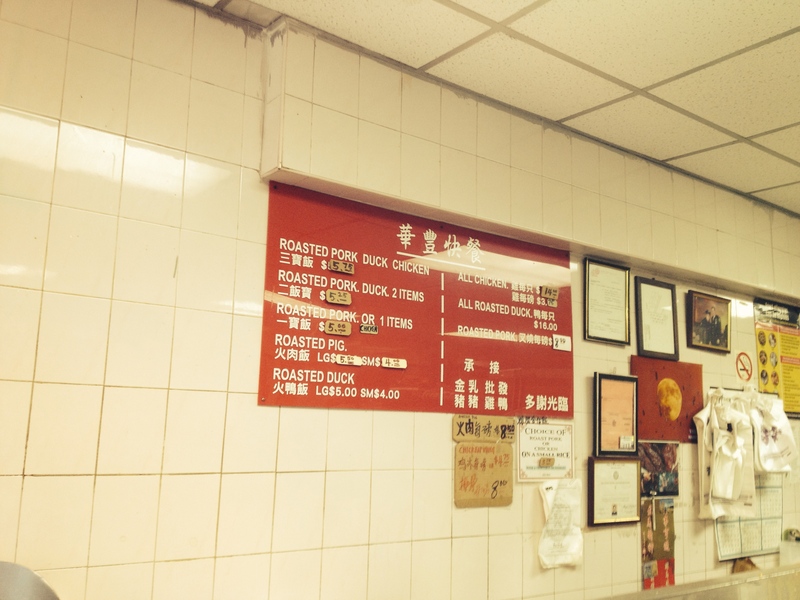 I saw a sign for a bakery and even though it goes against every word I have ever said on this blog I have a thing for BBQ Pork buns, though as fate would have it I never made it to the bakery. I got distracted when I walked past Wah Fung No 1 Fast Food and noticed a line up. In the window I saw this: In reality it was $5.25. However, it was by no means “on a small rice”. It was on rice enough for 2 or 3 people with a generous portion of cooked cabbage and a huge amount of meat. When I stopped there was a line up of about 6-8 people in front of me that wound out the shop in front of the window. I joined the line. With the exception of the guy in front of me everyone waiting was Asian. As we waited for the one guy who was in charge of the roasted meat section of Wah Fung to serve everyone, the Australian guy, who is visiting from Sydney, and I got chatting. He said the first time he walked by the line up was down the block and that he always gets the same thing, the pork, which he pointed out comes in two forms, Roasted Pig and BBQ. So he gets half and half also for $5.25. 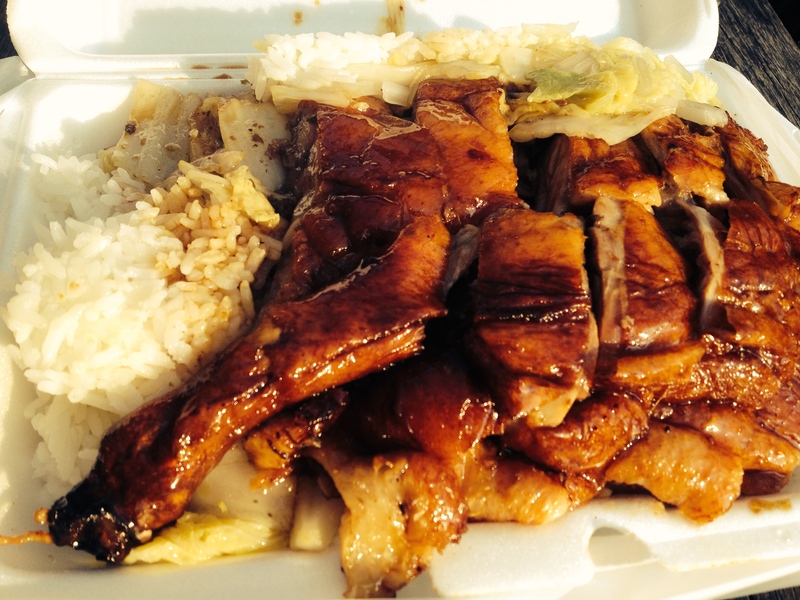 The Roasted Pig is a thick slab of unctuous white meat completed with crispy brown skin. When it was my turn I ordered the Roast Duck. 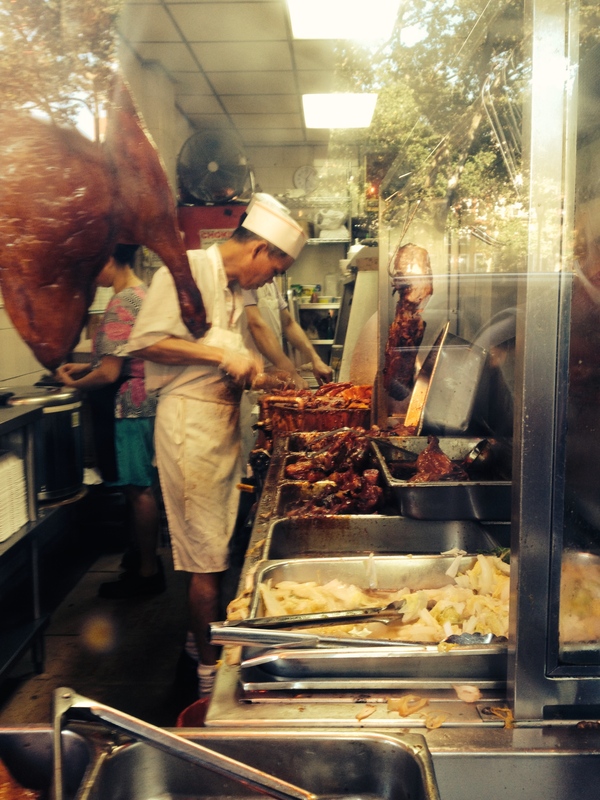 Roast Meat places are on nearly every block in Chinatown. Wah Fung distinguishes itself by serving not only brilliantly cooked meats, but by serving them in huge portions that actually even include a vegetable! They also have a selection of prepared foods which one customer jumped the line to get. When I looked all the signs were in Chinese so not really sure what was on offer. I’m going to go back and explore more, so will report back when I do. If you go in the Summer there is a park right across the street that you can find a bench to sit on and enjoy your feast. 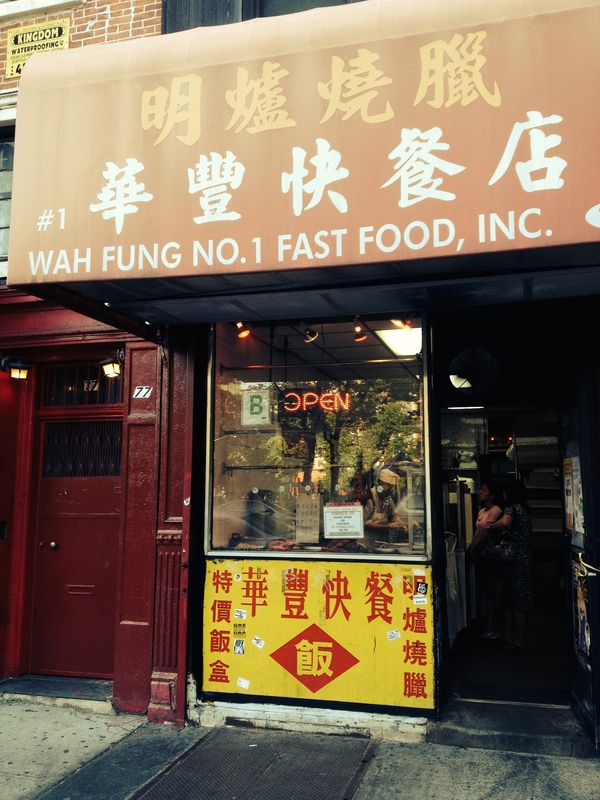 Wah Fung is located at 79 Chrystie Street on the West side of the street about a block south of Grand street where Chinatown meets the Lower East Side. 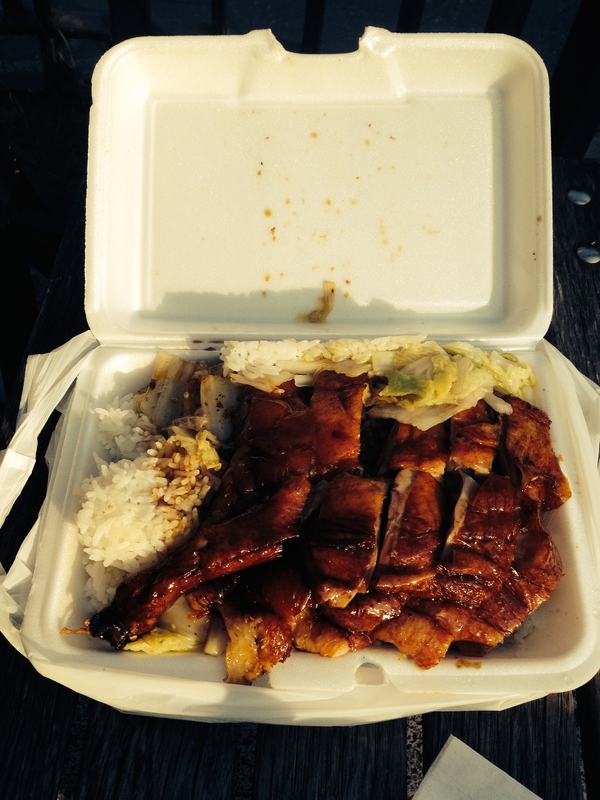 This entry was posted in NYC and tagged Asian Food, Cheap Eats, Chinatown, NYC, Roast Duck, Take Away Food. Bookmark the permalink.